With our team’s decades of operational excellence experience, we are uniquely qualified to help our clients find, assess and recruit Lean & Six Sigma healthcare leadership talent. Our principals are Six Sigma Master Black Belt and Lean trained by globally recognized industry leading companies and have real-world, practical experience in their application. As subject matter experts in the recruitment of Lean, Six Sigma and operational excellence talent, our firm has been featured in leading industry trade magazines and journals. Contact us today for help with your Lean and Six Sigma staffing needs. We provide both contingent and retained Lean and Six Sigma executive search services for the healthcare industry focusing on hospitals, clinics, healthcare insurance, healthcare services, medical device, and pharmaceutical manufacturing globally. Leverage our principals’ decades of executive Lean & Six Sigma knowledge and staffing experience. Leverage our extensive proprietary database of contacts and candidates. Leverage our Lean Sigma Search™ process to find the ideal Lean & Six Sigma candidates. Our clients only pay upon the successful placement of our presented candidates. Our fee is based on a percentage of the candidate’s first year’s total compensation. We offer our clients a 60-day replacement guarantee. Leverage our Lean Sigma Search™ process to find the ideal Lean & Six Sigma candidate. Go to gemba – client site visit to gain improved insight into company culture and challenges = improved candidate fit. Face to face or video conference interview with full candidate assessment process methodology: Position Benchmarking Specification, Full Written Interview Evaluation, and Full Candidate Summary. At a minimum, 3 – 4 candidates meeting our clients’ requirements will be presented within 60 days. Our fee is based on a percentage of the candidate’s first year’s total compensation (base + bonus and commissions). One-third of the estimated fee is paid up front to engage our Lean & Six Sigma executive search and recruiting services. We offer our clients a 90-day replacement guarantee. Our healthcare provider executive search practice focuses on recruiting Lean, Six Sigma and operational excellence talent for hospitals, academic & research medical centers, health systems, physician groups, ambulatory care centers and other specialty healthcare provider services such as rehabilitation and dialysis centers. 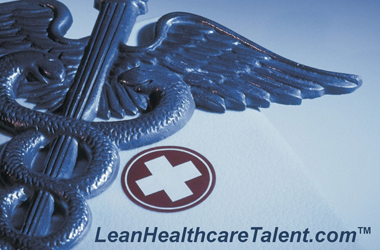 Our healthcare payer executive search practice focuses on recruiting Lean, Six Sigma and operational excellence talent for healthcare insurers, health maintenance organizations (HMO's), preferred provider organizations (PPO's), defined contribution plans, and pharmacy benefit management (PBM's) companies. Our healthcare services and manufacturing executive search practice focuses on recruiting Lean, Six Sigma and operational excellence talent for medical equipment and pharmaceutical manufacturers, healthcare IT and healthcare outsourced solutions service companies. Copyright © 2004 · 2010 The Avery Point Group, Inc.